For most of us, Christmas comes parcelled with indulgence, tempting treats and a loosening of the reins on routine. 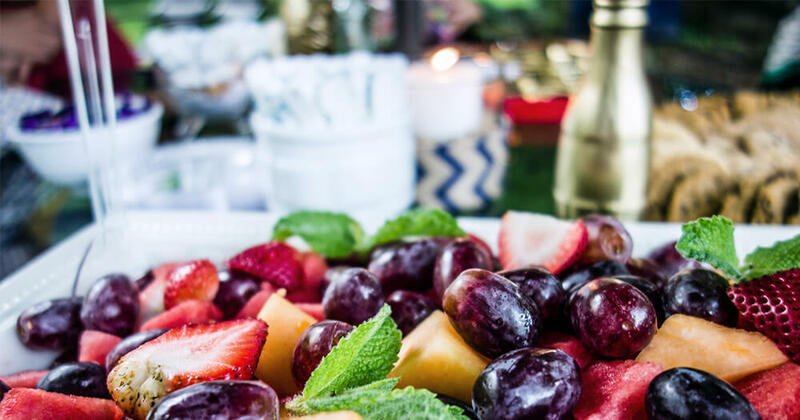 With festive parties aplenty over the summer season, sticking to healthy habits can be tricky. That’s why having some “game day strategies” under your (currently comfortable) belt can ensure that you still get to enjoy Nana's famous Christmas pudding, without buckles bulging come New Year’s Eve. Game on! As with any game plan, a realistic strategy helps to set you in the right direction. First off, hitting the holiday season with any pre-conceived notion of sticking to a strict eating and drinking regimen is not necessarily the goal here. Christmas holidays should be fun, and you can still celebrate the victories that were had during your year while staying healthy for the year to come! 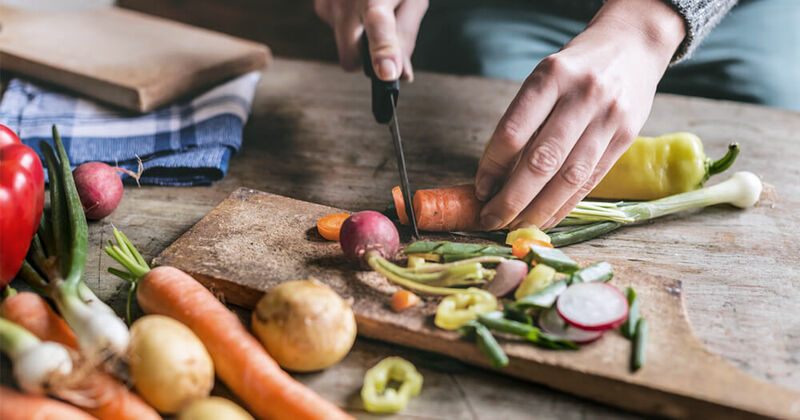 When it comes to the holiday period, the 80/20 nutrition plan can be a good way to enjoy yourself, while still staying on top of your health game. The basic premise is that 80% of the time, try your best to make healthy food choices that make you feel well. 20% of the time, you can allow yourself to let go a little and indulge in foods that may not be classed as healthy, but bring you great joy... which in moderation, is healthy in itself! Below are some tips designed to help you stay on track for a happy and healthy holiday period. For quiet nights in between the festive cheer and sips of beer, aim to make your meal light, full of vegetables, lean protein and alcohol-free. If you practice your healthy habits at home, you have a little more wiggle room when you’re out and about. Parties and holiday events are usually scheduled later in the day. Aim to throw on your sneakers and exercise first thing in the morning, so that you are done and dusted come time to slip into your party shoes. Starting the day with exercise can also make you feel more motivated to stay on track with your eating for the rest of the day. 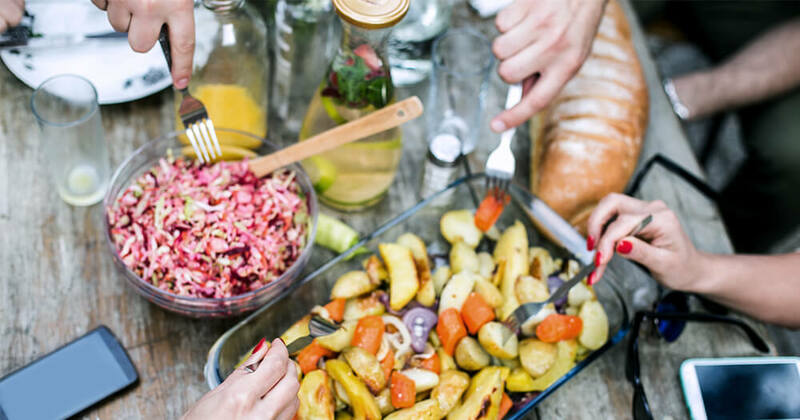 At summer BBQs and parties, there is often a buffet-style help-yourself table of food. It can be a good idea to have a subtle reccy of the offerings before picking up your plate, to help you decide what healthy (or at least healthier), options you’ll save the most room for on the plate. Choose to make the majority of your plate salads and protein, and leave a little room for the richer fare. It’s a busy time of year, and in between rushing to make end-of-year deadlines and last minute secret Santa shops, we can forget to eat properly. However, turning up to a function ravenous can set you up to beeline to the cheese and chips table. Try to have some healthy snacks on hand (in the glovebox of the car or your desk drawer), so you can take the edge off the hunger before you arrive. It also pays to ensure you’re adequately hydrated, as thirst can often be mistaken as hunger! 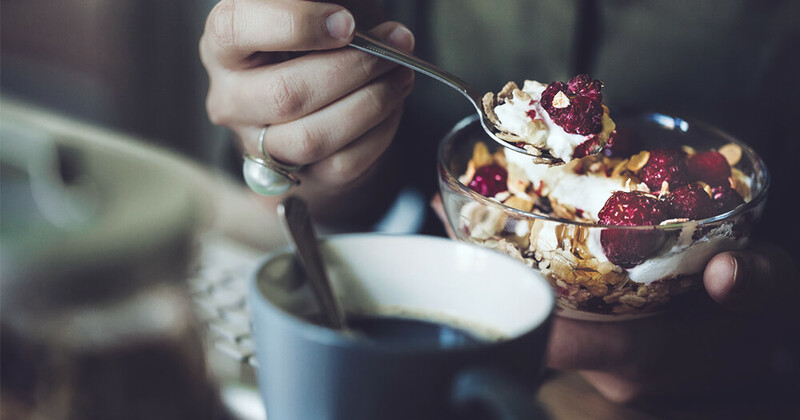 You may be aware that you have a day of indulgence ahead, but skipping breakfast to ‘save space’ for the goodies that are in store isn’t the best way to start your day with healthy intentions. Breakfast helps to kick-start our metabolism and eating a good breakfast is said to help prevent us from overeating later in the day. If you find you don’t have an ‘off’ button when it comes to your festive appetite, it may be worth noting that the colour red is believed to stimulate the appetite. So, Santa and those jolly red decorations may be contributing to that insatiable desire to eat more! If you have the common tendency to want to eat everything on the plate in front of you, perhaps try dishing your meal up on a smaller plate. Using an entree plate can still give the illusion that you have a decent full-sized meal, but you won’t run the risk of overeating. Another idea is to use a teaspoon to eat dessert. It takes longer to devour that delicious cheesecake and can give your brain the time to register that it is full and needs no more! If you choose to drink alcohol at a party or function, be aware of how often your glass is getting topped up. Those ‘two standard drinks’ can quickly turn into four if you’re not careful. A sensible trick to keep track is always aim to finish one glass before accepting a top up. Also, remember to stay hydrated with a glass of water for every alcoholic drink consumed. 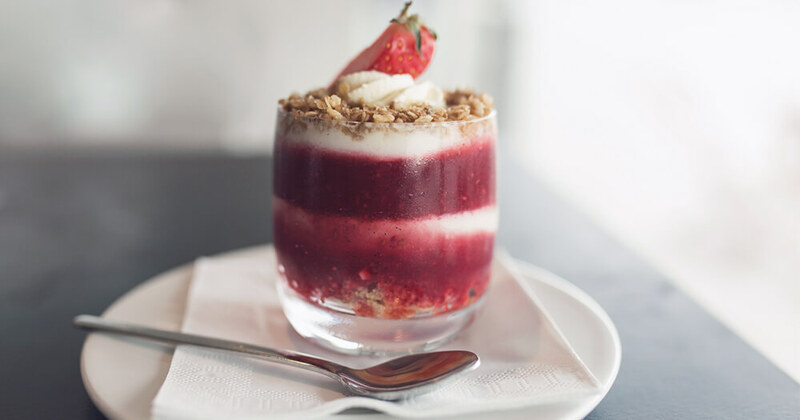 If you’re asked to take a plate to a function, make yours a healthy option such as seasonal fruit, a raw cheesecake or a vibrant vegetable dish. Of course enjoy other’s offerings too, but at least you know you’re guaranteed a healthy option to choose from. Likewise, If you are hosting the party, perhaps have a healthy selection of snacks for starters such as hummus or guacamole with vegetable batons or rice crackers. … But it doesn’t mean you have to take a three-week vacation from making healthy holiday choices! Remember, a few nice indulgent nights out doesn’t classify you as ‘naughty’ in the nutritional stakes. It’s the choices that you make the rest of the year which make the difference so try not to hold onto any guilt if you veer from your nutritional game plan. By being guided by these tips, you can help ensure that you jump into 2017 ahead of the game! Merry Christmas and Happy New Year everyone! So you're passionate about nutrition? Learn how to turn your passion into a career, here.